Bangladesh has committed to provide electricity for all by 2021, to reduce its greenhouse gas emissions by 5% from power and other sectors by 2030, and to develop 100% domestic renewable energy as rapidly as possible. 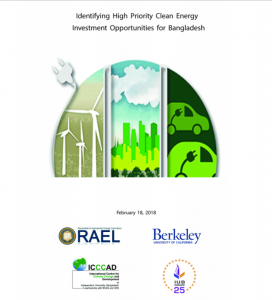 This study is the first of its kind to examine potential areas for solar and wind energy projects in Bangladesh that can help to meet those goals. To do this, we excluded all areas likely to be environmentally or socially unacceptable for solar or wind projects (low-lying areas, steep slopes, dense settlements, protected areas and their buffer zones, etc. ), and then estimated the levelized cost of electricity for each 5km2 “project opportunity area”. We found that there is far more utility-scale solar PV potential than previously estimated, at costs lower than coal power, and conversion of cropland can likely be avoided. In 2016, electricity demand in Bangladesh was 11.4 GW. By 2021, the Government plans to develop 13.3 GW from new coal plants, and less than 2 GW of solar energy. But Bangladesh could replace large portion of 13.3 GW of planned coal projects with utility-scale solar for an average LCOE of $91/MWh, compared to $110/MWh for coal, given the identified 53GW potential from solar PV. This would prevent widespread toxic contamination of air, water and soil, spare tens of thousands of Bangladeshis from premature death and disease, and protect critical ecological resources like the Sundarbans World Heritage Area, which protect millions from storm surges and deadly floods. Furthermore, unlike coal, utility-scale solar PV can be rapidly deployed—usually less than a year— and easily scaled to meet the required load of the end user with low maintenance costs. 7.8 GW of utility-scale solar, which is the Bangladeshi Government’s renewable target in 2030, would use only 0.17% of Bangladesh’s total land area, and would require converting a maximum of 1.4% of land— ideally non cropland— within any 5km2 project opportunity area. New designs for utility solar farms are also allowing crops to be grown within them, further reducing impacts on farmers and food security. Concentrated solar power (CSP) with thermal storage could provide 29 GW–more than the total electricity demand projected for 2021 (24 GW). CSP without storage could provide 53 GW, far more than projected energy needs through 2030 (39 GW). While costs of CSP without storage is nearing cost competitiveness (range: $127-160/Mwh), CSP with storage is currently expensive (USD$237- $300/MWh). Innovations in storage will reduce these costs over time. Rooftop solar PV systems on commercial/residential buildings could provide 17% of current peak demand (2 GW) at dozens of urban locations across the country. While rooftop solar costs averaged USD$244/Mwh, it can provide important sources of clean energy without displacement of communities, conversion of cropland, air or water pollution, premature deaths, public health costs, or inflationary fuel prices. Wind energy could generate 5% of current peak demand (0.57 GW), at costs of $99-108/MWh. 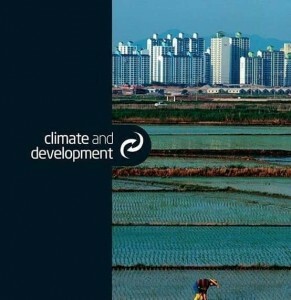 Identified project areas include parts of Rangpur, Sylhet and coastal Chittagong. While slightly more expensive than solar PV, wind energy is still more economically, environmentally and socially preferable to new coal-fired power projects.